If you’re looking for a first-class car-shopping experience, turn to Lexus of Edmonton. 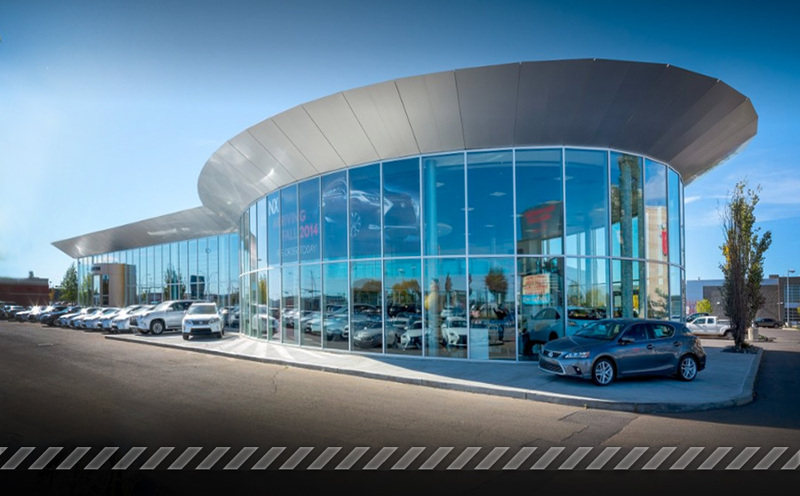 Our Lexus dealership in Edmonton, AB, carries more inventory than any other Lexus dealership in Western Canada,meaning you have plenty of options when you shop with us. Add in our friendly Lexus experts, flexible financing and reputation as a customer-first Lexus dealership, and we have everything you need to upgrade your daily drives. You’re sure to be impressed by the variety of new Lexus models available at Lexus of Edmonton. Come test-drive a new Lexus IS or GS sedan, or get behind the wheel of an RX or NX crossover if you want more style. Own the road in a Lexus RC coupe, or spring for a Lexus GX or LX SUV to get the utmost in luxury. Our Lexus finance specialists will help you buy or lease the Lexus you desire, and they work with many credible financial institutions to get you competitive rates. Need Lexus service? Our service department boasts experience and tenure, as many of our Lexus techs have been here for 25-plus years!Rest easy knowing that when you come to Lexus of Edmonton, your Lexus gets the best. Looking for more reasons to buy from Lexus of Edmonton? Lexus of Edmonton has won the Pursuit of Excellence award for 10 straight years, which showcases our unwavering commitment to outstanding customer service. We earned a 2011 Mayor’s Award for our contributions to the Edmonton arts community, and we’re serious about giving back to the community that’s made us successful. Our dealership offers complimentary chauffeur and valet pick-up services, as well as complimentary car washes and rock chip touch-ups with service appointments. You get great value when you bring us your business. Coming to or from Edmonton via Edmonton International Airport? We have Lexus Preferred Parking Stalls on-site, and offer valet service to the airport if you want to service your vehicle while you’re away. You’ll love all the perks and amenities our dealership offers! You can eat a complimentary breakfast at Ricky’s while you wait for service, enjoy our first-class business loft or use our luxury spa that offers manicures, pedicures, massage chairs and more. With on-site vehicle registration, it’s easy to get your Lexus road-ready in very little time. When you do business with Lexus of Edmonton, you can get invited to exclusive Lexus of Edmonton VIP events that will enhance your Lexus ownership experience!